State Rep. Larry Gonzales, R-Round Rock, resigned this week; he had already decided against serving another term. Gonzales, a member since 2011 and a Capitol staffer before that, had already decided this would be his last term and didn’t file for re-election this year. His resignation, effective on Thursday, sets up a special election for the remainder of his term. That might take place on the same day as the November general elections. There’s a precedent: State Rep. Larry Phillips, R-Sherman, quit earlier this year and was appointed to a judicial position; the special election for what’s left of his term will take place in November. During his term in the House, Gonzales chaired the Sunset Advisory Commission and served on several House committees, notably the budget-writing Appropriations Committee. 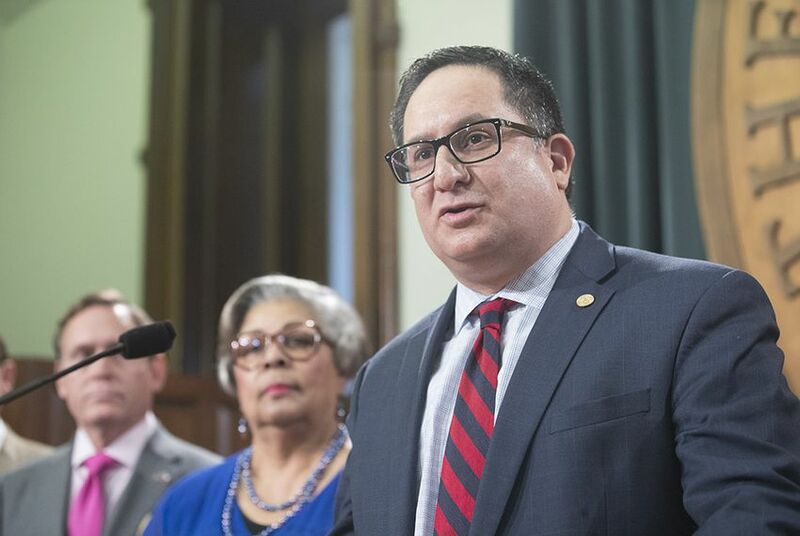 "I first walked into the Texas State Capitol in 1991, a young, eager intern ready to learn as much as I could and help make Texas the beacon of what good state government should be," Gonzales said in a statement. "Twenty-seven years later ... I'm happy with everything we have accomplished." Still, he said, "it's time to move on." "My little family needs me," he said. "I've missed a lot." Gonzales' departure leaves just two Hispanic Republicans in the 150-member Texas House: J.M. Lozano, R-Kingsville, who is seeking another term, and Jason Villalba, R-Dallas, who was defeated in the Republican primary and is serving out his term. Republican Cynthia Flores and Democrat James Talarico will be on the ballot for a full term in House District 52 in November; candidates can file for the stub term as soon as Gov. Greg Abbott calls a special election and sets a date. Flores has Gonzales' support. In a statement Wednesday, Talarico praised Gonzales as "a fierce advocate for commonsense legislation" and said he'd "work every day to live up to his example." “In divisive times, Rep. Gonzales resisted the tides of partisanship and fought for real solutions to the problems facing our community,” Talarico said. “There are few politicians left like him who put people over politics."